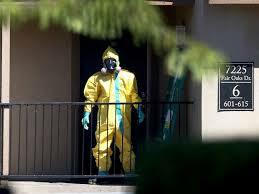 This week the first person in the United States to be diagnosed with Ebola was admitted to Texas Health Presbyterian Dallas in Dallas, TX. Before the news broke publicly, I had the chance to speak with the Director of the Centers for Prevention and Disease Control (CDC), Dr. Frieden, regarding the background of the patient, the strategy to contain the disease, and the methods they plan on using to prevent additional infections. Since we know where the source of transmission occurred, I believe that the federal government should consider using every tool at its disposal to mitigate the risk of spreading this virus to more North Texans and Americans. On Wednesday, I attended a briefing with Governor Rick Perry, Mayor Mike Rawlings, Judge Clay Jenkins, Superintendent Mike Miles, and other state and local officials to receive more information from Texas Health Presbyterian Hospital Dallas, Dallas County Health Systems, and the CDC. From the conversations that took place during the briefing I have full confidence that the local authorities and hospital are working in conjunction with the CDC to ensure that they are taking calculated and effective measures to control this situation. As your Congressman, I remain committed to protecting the people of North Texas by closely monitoring this situation and providing information on how to keep you and your families safe. • Infographics mapping the epidemic, illustrating Ebola symptoms, and providing overall information on preventing and stopping Ebola. • Fact sheets provide guidance for health care professionals and an overview of the Ebola virus. • Videos with information about the epidemic in West Africa, how contact tracing works, and stories from CDC staff who have returned from West Africa.